It's difficult to know how to write about David Leavitt’s new novel. The book is brilliant in places, and often very moving – at any rate I was involved enough to stick with it over a 10-day period when reading time was limited (and when there were slimmer, more accessible books lying about waiting for their turn). But I also think The Indian Clerk would have been more satisfying if it had been either a hundred pages shorter (with some of the loose ends/subplots pared away) or a couple of hundred pages longer (with the subplots explored more fully, making for a more indepth, sweeping historical fiction). As it stands, this is a work that throws too many balls up in the air at once and doesn't quite sustain the juggling act. I would definitely still recommend it to the patient reader though, especially one who’s interested in the period and the setting. In essence this is a fictionalised account of the real-life collaboration between G H Hardy and Srinivasa Ramanujan in the years 1913-1919, a collaboration that led to some of the most important mathematical advances of the century. Their unusual relationship began with the renowned British mathematician receiving a letter from Ramanujan, a Madras-based clerk who claimed to have made breakthroughs in the field of prime numbers. 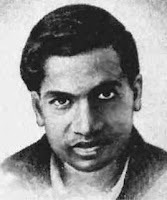 Convinced that he was dealing with raw genius, Hardy overcame resistance from the Cambridge authorities and from Ramanujan’s own family in India (his religion forbade him from crossing the ocean), and arranged for Ramanujan to come to Cambridge on a scholarship to study under him. In this, he received valuable help from an acquaintance named Eric Neville and his wife Alice, who happened to be visiting Madras at the time and who hosted Ramanujan in their house for the first few months of his stay in England. But Ramanujan was never completely at ease in this new country, his health deteriorated over the years and eventually he died, aged just 32, shortly after returning to India. Srinivasa Ramanujan is a fascinating historical figure, familiar even to Indians who don’t particularly care for math, but readers expecting him to figure prominently in this narrative will be disappointed; he makes his appearance only around halfway into the book, and even then remains a nebulous figure. What’s more important here is the effect his presence has on the other characters, notably Hardy and Alice Neville, who find themselves in a quiet, unacknowledged tussle for proprietary rights to the “Hindoo calculator”. Hardy, no doubt looking at Ramanujan through the prism of his own worldviews, believes that the Indian is a rationalist, an agnostic, at heart; that even his vegetarianism derives not from religious strictures but personal revulsion for meat. Alice, on the other hand, having spent time in India, has a better understanding of Ramanujan’s background and moral conditioning (she recognises the significance of the little Ganesha statue he has brought with him to England as “the god of success and education, of new enterprises and auspicious starts, of literature”, whereas when Hardy enters Ramanujan’s room late in the book, we immediately sense the cultural distance: “From the hearth an elephant-headed figure gazes at him. He has four arms. A rat sits at his feet”) and she is more concerned with him at a personal level. But even she tries, unsuccessfully, to use him to fill the empty spaces in her own life. But given that Hardy is the book’s emotional centre and its most interesting character, a problem with the narrative is that it doesn’t consistently stay with him. There are whole chapters that give us events through other characters' viewpoints (though significantly, never that of Ramanujan, whom we always see through someone else's eyes). There’s Hardy’s sister Gertrude, a poet, burdened with the responsibility of looking after their ailing mother and intermittently escaping to a rented flat in London (a room of her own, one might call it); his collaborator Littlewood, caught in a difficult affair with a married woman; Alice Neville, equally trapped by “the dull repetitiveness” of her marriage, and her feelings (first protectiveness, then love) for Ramanujan. Seen out of context, most all these personal struggles and frustrations are well-handled, and each of them tells us something about the society these people live in; about the fading of social mores, about a country on the cusp of momentous change (this is the time of the Great War, a deeply disillusioning period for Britain, which marked the beginning of its decline as a superpower). But they also have a diluting effect. Narrative to-and-fro-ing of this sort would be better used in a much larger novel, one that clearly spelt out its intention to be a sprawling sociological work. The book also meanders because of the many asides about Hardy’s colleagues, the Cambridge secret society known as The Apostles, which included such intellectuals of the time as Lytton Strachey, Bertrand Russell and Ludwig Wittgenstein. Leavitt gives too much space to Russell’s run-ins with the authorities (his pacifism landed him in a good deal of trouble at a time when the government was trying to romanticise war and sell the British people cosy fantasies about soldiers living in underground bunkers that resembled holiday camps) and while all this is undoubtedly interesting in its own right, one doesn’t get the sense that it belongs in this book. That The Indian Clerk still works as well as it does is testament to Leavitt’s ability to bring the milieu alive and to make us feel for his principal characters. 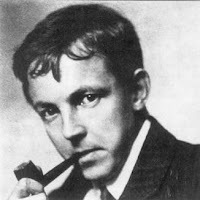 Reading this story about a very lonely man (possibly two very lonely men, though Hardy's loneliness is more fully explored) and the stifling times he lived in, it’s possible to appreciate the sentiments behind Hardy’s famous remark that his association with Ramanujan was “the one romantic incident” in his life. A couple of months ago, there was a series of posts at the Elegant Variations blog regarding this book, and they had the first chapter available for perusal. 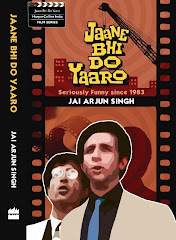 I have only read that bit of the book, Amardeep's summary and now yours, and thought of a couple of things. One, the historical novel is a bit of a beast to get right. In order to set the atmosphere, the writer needs to fill in a lot of background information (sort of like the As you know, Captain phenomenon in sci-fi), which is a delicate business. One doesn't want to sound like a history text, but one doesn't want to provide insufficient information either. Leavitt, I find, seems to throw in every fact he could find about contemporary life in Cambridge (you mention the overkill about Russell); meanwhile, the stuff about the math doesn't seem to add much to the narrative (but this is a matter of taste). Secondly, in a biographical novel, one might ask how accurate the circumstances and conversations are? Fictionalising these (see the section on Biography as Contested Space here) is contentious, to say the least. So what does this kind of book offer over and above a straight biography (e.g. Kanigel's book on Ramanujam)? What do you think? Feanor: (chuckling at sudden vision of Kirk and Scotty teleported to Cambridge) I kept measuring The Indian Clerk against Arthur & George, which I thought was a tighter, more satisfying example of historical fiction. Yes, there was too much about the Apostles here, and while Leavitt probably did this for a reason (maybe helping us understand Hardy better, through an elaboration of his social circle), it didn't really work for me. I thought the math bit was frustrating too, it was never fully explored (maybe he didn't want to alienate readers). I think a good historical novel would have some of the same advantages over a biography that good fiction does over non-fiction in general: that is, freeing the author to deal with deeper, more poetic truths (as opposed to literal truths). To an extent the book does achieve this. Thought it was an interesting insight into the way the 21st century European still finds Ramanujan an excessively weird beasty. If you think about it, Hardy and Littlewood should seem equally strange - the conventions of Cantab dons in 1910 are scarcely things you'd expect the modern Englishman to relate to. It's obvious however, that they are far less alien to Leavitt than Rama's lifestyle. Incidentally, I thought he underplayed the maths and the approach to math because that is the only point of coincidence between these two worlds. The completely different styles of mathematical research is to my mind one of the most interesting things about the whole business. Jai, I agree. At its heart, this was possibly a short book rather than a big one - I dont really think it would have worked as a baggier, more complex creature either. I thought the most extraordinary bits about the book was the opening, and his evocation of the aracane world of pre-war Cambridge University. I was at Bloomsbury when David( who is published by them) sent in his early chapters, and I recall reading them and getting a thrill of pleasure - that wonderful opening, Cambridge in winter, the tos and fros through the quads, and then the letter postmarked with exotic Indian stamps arriving into this strange world. Reading the finished book last year, I thought it didn't quite live up to its promise, part of the problem being Ramanujan himself who is too much a cipher. Didn't you feel that? Its as if all the myths around him have made him impenetrable. I saw a play about Ramanujan last year by Simon Mcburney, its going to come to India this year I think - and it has similar problems.